The Eco Store storage system is designed to offer a great amount of flexibility with a full range of finishes available, improving capabilities for customization. 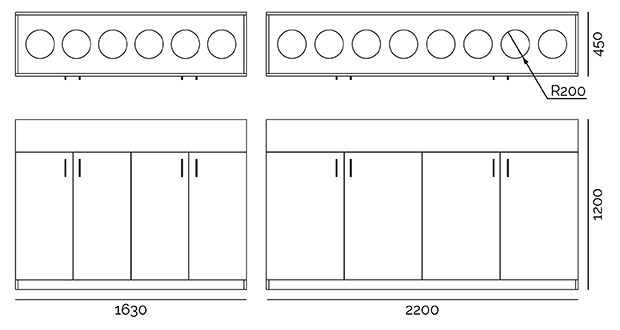 These units can be configured in a range of different widths and heights including colour combinations. Precision manufacturing: high quality components allow a homogeneous coordination with the other furnishings.